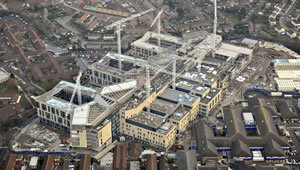 The brand new, state-of-the-art hospital will be changing the healthcare for many lives in the Bristol area. 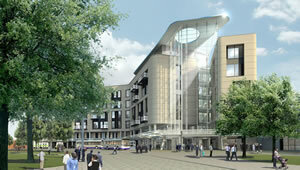 Carillion are working with the Bristol NHS on the £430m project, which is due for completion in 2014 and will be one of the most environmentally-friendly buildings in the country. One of the major benefits of this new hospital is the end of the traditional wards, being replaced by single rooms with en-suite facilities and four-bed wards. The upgrading to single rooms will greatly improve privacy and help considerably to control the spread of infections. It will have low energy consumption, halving the current amount of energy the hospital use per one hundred cubic metres. The wards will be naturally ventilated and eastward facing, which means they will take the warm morning sun to heat the room and prevent the afternoon sun overheating the room. This will significantly reduce the amount of energy needed to cool the rooms. The two Armorgard products that have been very popular on this site are the SiteStation and the FittingStor. Click on the links to view more info on these products.